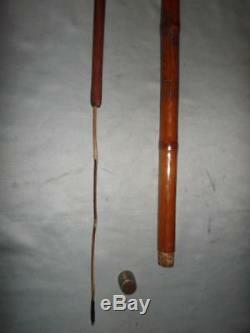 Antique Bamboo Chinese Carved Walking Stick With Concealed Fishing Rod. 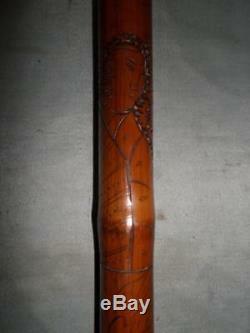 Antique Bamboo Chinese Walking Stick With Concealed Fishing Rod And Carvings Of Ladies, Men And Traditional Flowers. 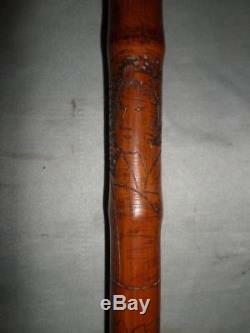 This piece of world and fishing history is a must have for any collector! 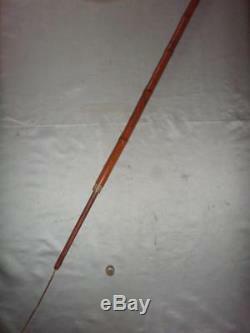 The curio includes hollow walking stick with split ring for line and two poles nested inside to make a telescopic fishing rod. 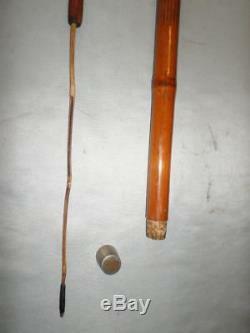 These are known as'Sunday Sticks' or'Poacher's Canes' in the UK, and are a fascinating part of fishing history! 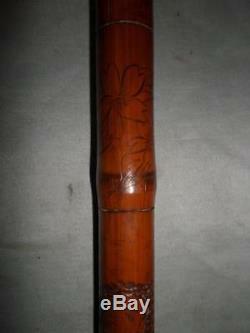 This is bamboo cane/rod would be an easy conversation piece, addition to a collection or functional walking stick! 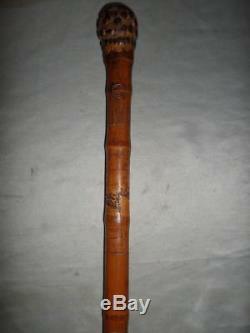 The hand carvings covering the shaft are traditional and elegant and the shaft is very sturdy despite being hollow. 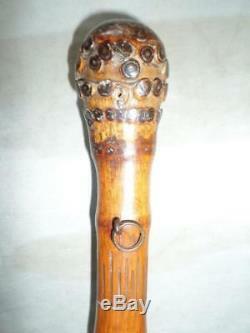 The cane is in good antique condition, with some damage to the through use and a split at the bottom where this piece has had the ferrule removed and replaced multiple times. 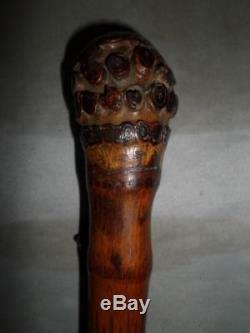 This item was given a lot of use and love! The metal ferrule has been replaced to ensure plenty of use can continue! 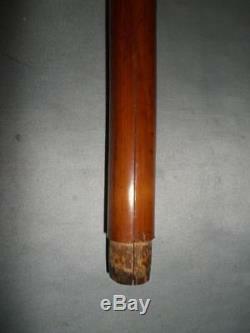 Please see photographs for full condition of this item. There are no obvious maker's marks, but this is a really interesting piece to use or display regardless - own your own little piece of fishing history today! 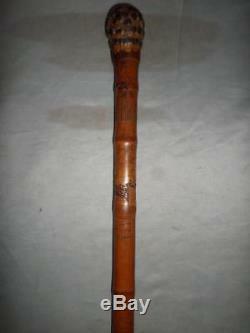 Measures at - Length of cane - 90cm Diameter of head - 4.3cm Diameter of shaft - 2.7cm Length of middle rod - 70.5cm Length of end rod - 51.5cm. Auctiva offers Free Image Hosting and Editing. 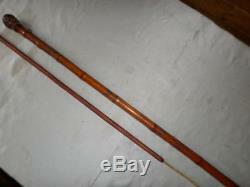 The item "Antique Bamboo Chinese Carved Walking Stick With Concealed Fishing Rod" is in sale since Thursday, April 12, 2018.